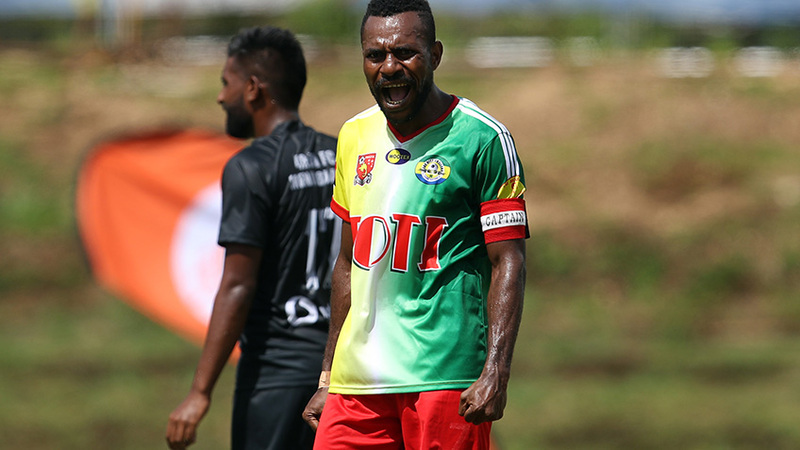 LAE, Papua New Guinea - Lae City and Papua New Guinea international striker Raymond Gunemba has set his sights on an OFC Champions League upset. The former ISPS Handa Premiership frontman turned out for Hamilton Wanderers in New Zealand's top flight two seasons ago but is aiming to take down Auckland City FC as the race for Oceania's premier club trophy hots up. Auckland City FC have faced off with Lae City twice previously registering 2-0 and 2-1 wins although the Papua New Guineans last tangle with a Kiwi club ended in a humiliating 11-0 defeat to Team Wellington at the same stage last season. Gunemba admitted Saturday's task at Kiwitea Street was as difficult as it gets in OFC Champions League football. “It is a tough one when we face Auckland City FC but we are looking forward to the match. "We hope to score early to give ourselves confidence,” he said, "We've been in camp working on a few things to hopefully tighten up our defence, improve our attack and our overall fitness." One player Gunemba says will be difficult to stop is fellow compatriot David Browne. Browne has had an outstanding season for Auckland City FC since returning from the Netherlands last August. "Auckland City FC have some new faces in their squad but I know David from the national team and he is a good player. "We've struggled with minor injuries in the National Soccer League but we'll be recovered in time for the match with Auckland City FC. "Our schedule has been non-stop since the OFC Champions League group stages ended. "We travelled to Madang to play Laiwaden FC and have played a lot of catch up matches. "The tougher the games are the better it is for us because it gives us an edge to our training," he said. Gunemba is expected to be fit for the clash with Auckland City FC as is fellow Kapul, energetic midfielder Michael Foster. Lae City qualified for the last eight after they finished second in Group A behind New Caledonia's Hienghene Sport. Lae City beat Malampa Revivors 4-2 thanks to a Gunemba hat-trick and a goal by Nigel Dabingyaba, a result sandwiched between draws with AS Tefana (3-3) and Hienghene Sport (1-1). Gunemba bagged one in the 3-3 draw with the Tahitians while Dabingyaba hit a brace, then added a first half equaliser against the New Caledonians. By contrast, Auckland City FC were in ruthless form in the group stage. A 2-1 win over AS Magenta was followed with a 15-0 whitewash of Tupapa Maraerenga then a 6-0 victory over the Solomon Warriors. The match kicks off at 2pm NZST at Kiwitea Street and will be livestreamed by OFC TV at www.oceaniafootball.com.